President Kennedy was focused on the containment of political damage from the failed Bay of Pigs fiasco. The President was scheduled to address the American Society of Newspaper Editors at the Statler Hilton that day. 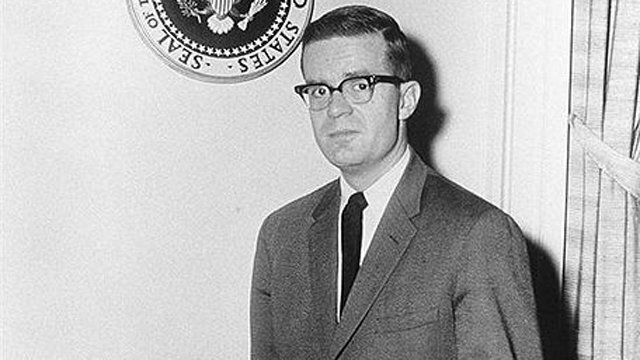 The speech for the event had been written days before by Ted Sorensen, but Kennedy the day before decided to attack the miscue head on and had asked for remarks to be prepared addressing Cuba. In the morning, Kennedy met with for breakfast in the small dining room on the 2nd floor of the White house with Schlesinger, Bundy, Bohlen and Sorensen who worked through the night writing a new speech. After discussing the speech, the group went about the business of counterbriefing while JFK went to his scheduled press conference at the State Department.